Things fell into place fairly easily this year. Naturally, some will feeling certain wrestlers were slighted, but I tried to build this list as fairly as possible. Several athletes deserve notice even if they did not make my top three. Of those who won tournaments in 2013-14, Nicholas Lirette of Hahnville deserves merit, as do Joshua Matthews of Catholic, Rick LaCava of Rummel, Gaston Eymard of Jesuit, Conor Karwath of East Ascension and Christian Ponson of Fontainebleau. Add to that list Brusly's Noah Landry, who was also the first opponent to score an offensive point against Brother Martin's Paul Klein (and that was not until February 1st). Sulphur's Trey Duhon had a good season, albeit a relatively short one with only 16 matches wrestled, yet still placed third in Division I. Christopher Zea of Holy Cross placed third in Division I, but 106 lbs. proved to be one tough weight class. So was 182 lbs., and Brendan Allen of Covington and Holy Cross' Porter Dazet had good seasons, if not the best of state tournaments. Listing those mentioned above, of course, just digs the editor a deeper hole due to others whom he did not cite. T'is the folly of compiling such lists, but they are simply subjective selections which, while based on facts, are solely one man's opinion. The editor welcomes polite harangues, of course. Let the flaying begin! Email: Muller, you're an idiot! 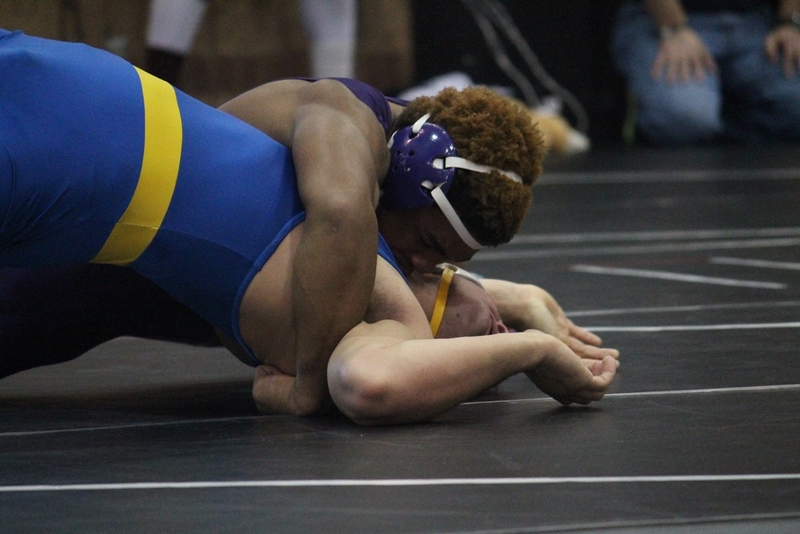 The freshman Shields lost to Martin twice, yet defeated him four times, including in the state semifinals. Shields lost to Holy Cross' Chris Zea but beat the Tiger twice after that. 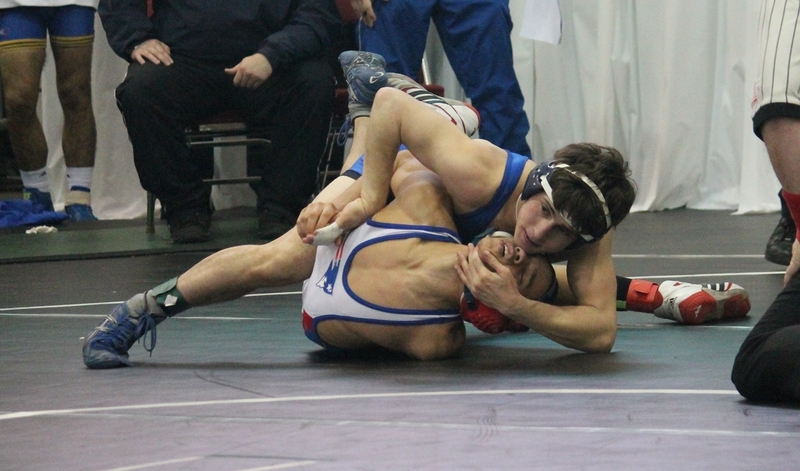 His other loss was to Nick Charles of Jesuit, but Charles spent most of his time at 113 lbs. Martin had a 2-1 advantage over Betteridge, including their last two matches. Betteridge cannot be overlooked, however, due to his Louisiana Classic and Greater Baton Rouge championships, not to mention that injuries in his first tournament and the day before his last were dealt with in a courageous manner. That the Brusly freshman and the Brother Martin junior did not face each other this season was a shame. Only two events were scheduled in which they might have met, but the Crusaders were unable to compete in the Louisiana Classic and Lee-Kayser was not able to compete in the Ken Cole. The Panther freshman gets the nod, however, due to a common opponent whom Lee-Kayser defeated 10-0 while Mauro only managed a split in their two matches. Mauro, with only the loss to Breaud, ranks ahead of Charles due to a 3-0 record against the Blue Jay. 120 was a little wide open at the beginning of the season, but the cream rose to the top in the end. All three earned stellar wins. Bernard won the Ken Cole, Mire the Trey Culotta and D'Antonio the Division I state championship. Bernard had a win over D'Antonio, Mire had a win over Bernard and D'Antonio had two wins over Mire, including the state finals. That was the difference. This one did come down to the state finals. Stampley and Gambill split during the season, both defeating the other by one point. Gambill won the Ken Cole and Stampley the Division I title. Stampley did have an early season loss to Kendon Lee-Kayser, but who in Louisiana did not that wrestled the kid from Brusly? Placing Cody Hill third generates an odd feeling, but he did have a one point loss to Gambill as well as one loss (albeit followed by two victories) over Airline's phenomenal freshman Christian Walden (whom Stampley handled quite well in the Division I semifinals). Hill did get his second Louisiana Classic title along the way, however, en route to a season ending LHSAA career victories record of 243. 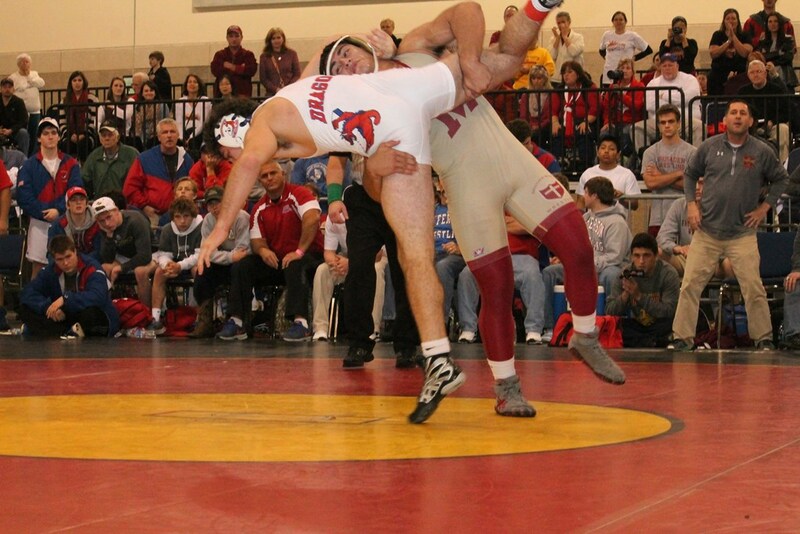 And for good measure, why not tack on the 2014 Dave Schultz Award? Klein had one loss all season, and it was to Benoit, but the Crusader defeated the Tiger twice, the last time in the Division I finals. 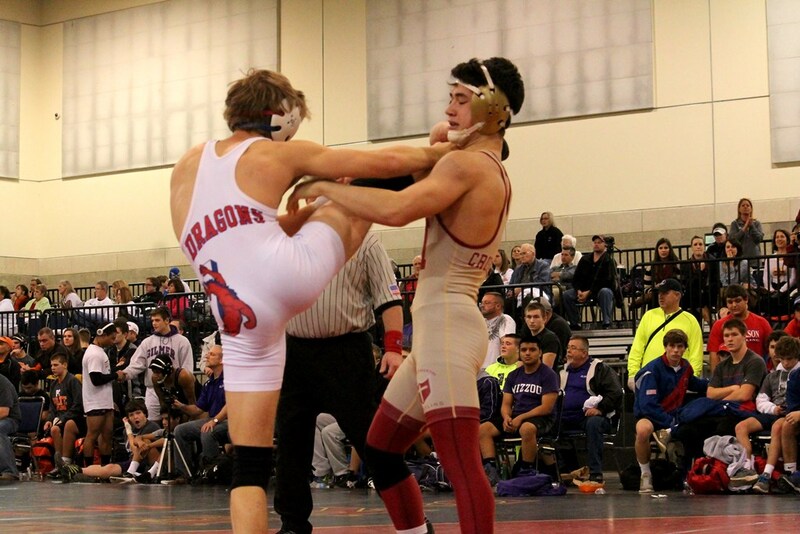 Taylor had quite a year, but a semifinals loss to Klein at the state tournament and two major decision losses against Benoit kept him the sophomore of their league this year at least. 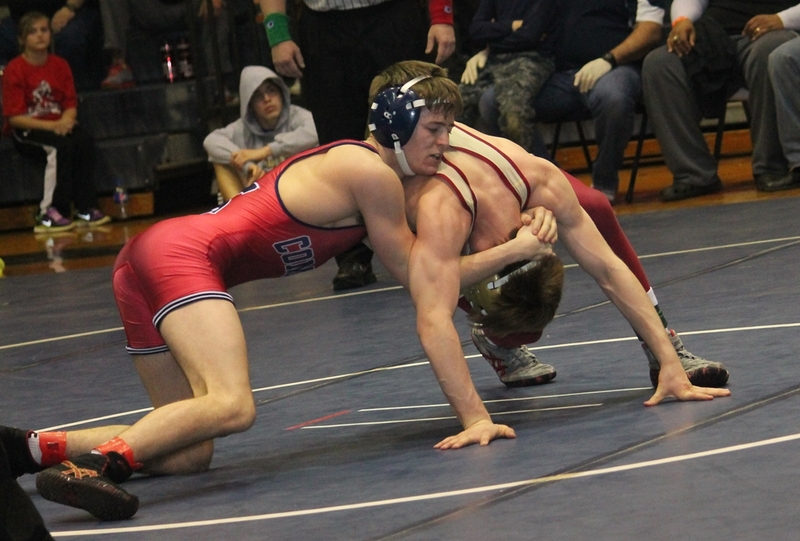 Trevor Schermer dominated 138 lbs. with a 17-0 record that included decisive victories over the Division I state champion Meyn at the Ken Cole and over the Division I runner-up Taylor at the Louisiana Classic. 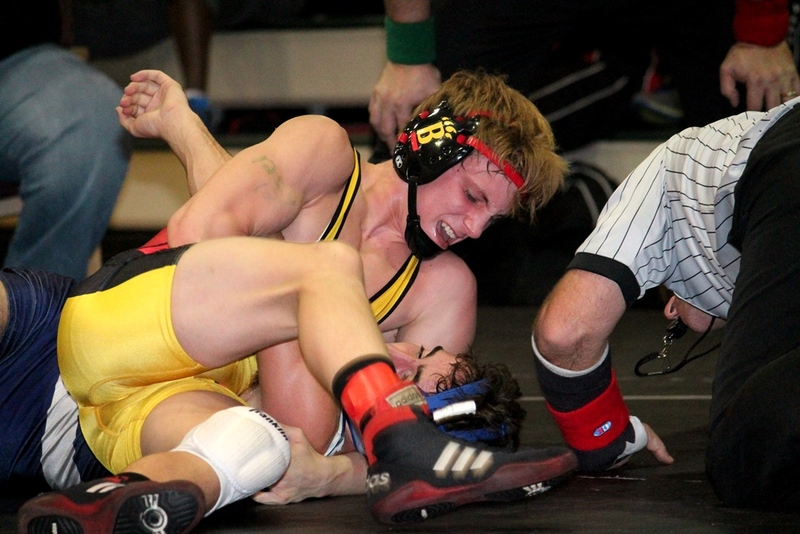 He was also undefeated at 152, including a win over the Division I state champion. Both of the wrestlers who defeated him this year won state championships (Claitor in LA, Breindel in FL). Meyn gets the nod over Taylor with a 2-0 season record against the Catholic wrestler who defeated him in the 2013 126 lbs. Division I championship. Claitor, a two-time Division I state champion, is the only wrestler with a winning match record against Schermer. Evans had a phenomenal year in which he was undefeated against Louisiana wrestlers until the state tournament, which was just a bad weekend for him. But he had victories at the Trey Culotta and the Ken Cole. 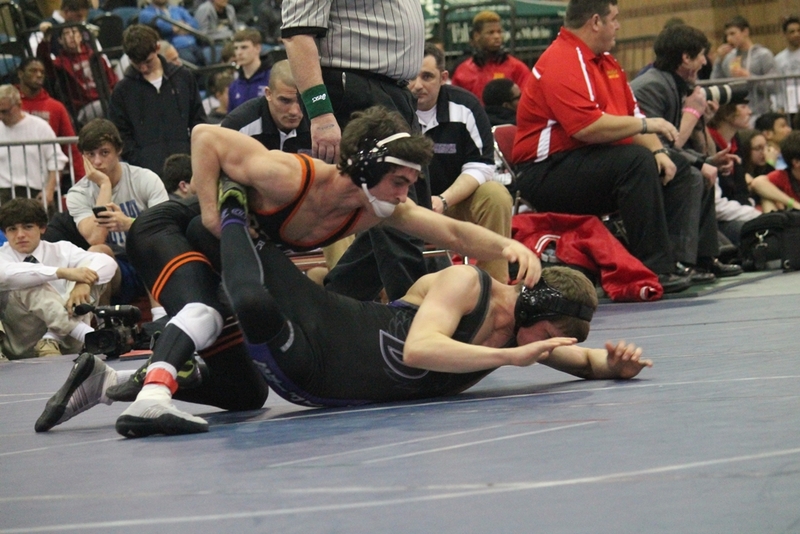 Prior to the weekend of the state tournament he had two victories over Dutchtown's Brandon Cowell. 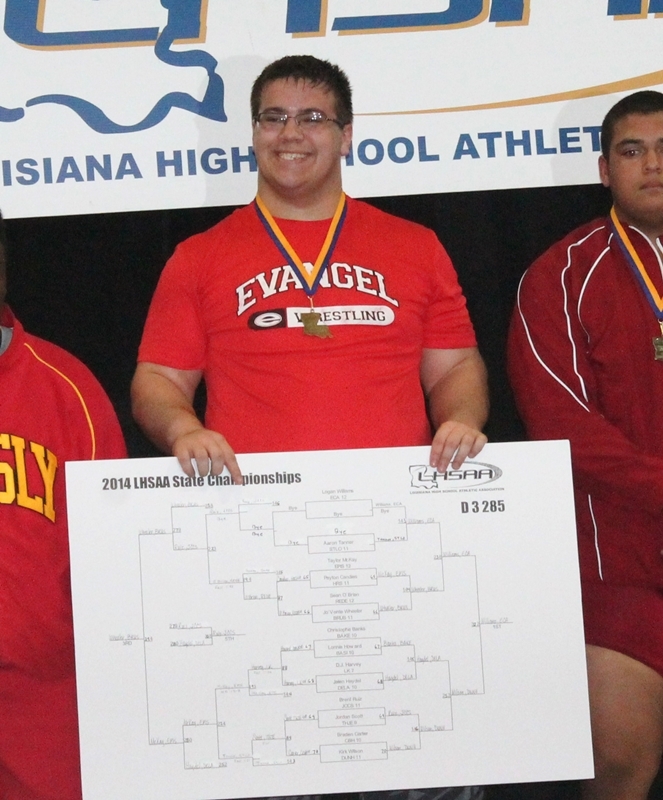 Cowell was due to break into the upper echelon of wrestlers in Louisiana, and he did so with his defeat of Evans to make the Division I state finals. Williams and Mire split matches over the season, but Mire won the last one in the Division I finals. 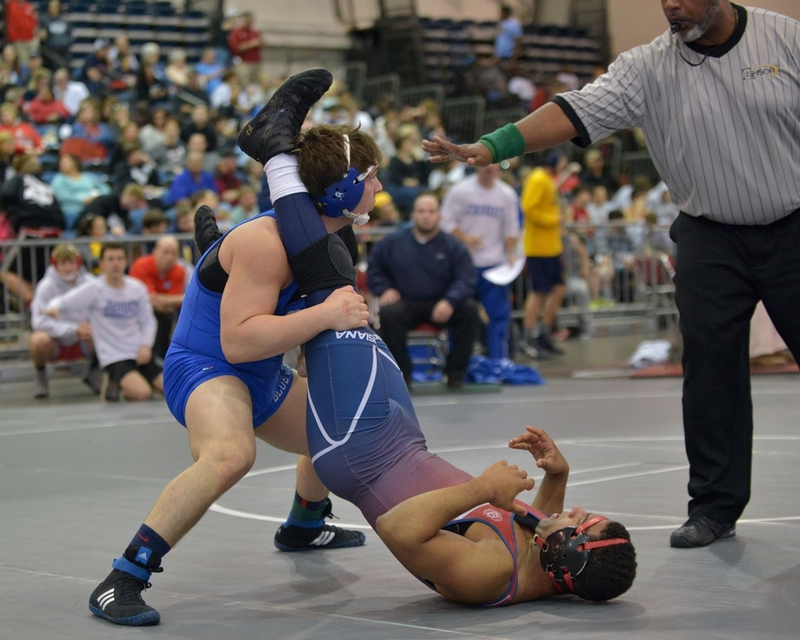 Fontenot, despite a fifth-place finish at the state championships, won four tournament championships and notched runner-up places at the Louisiana Classic (falling to Mire) and the Ken Cole (falling to Williams). This one came down to the Louisiana Classic finals, which LeBlanc won by a point over Martin (who gave LeBlanc his only loss in the Trygg Memorial finals). It would have been harder had Martin not lost a 170 lbs. 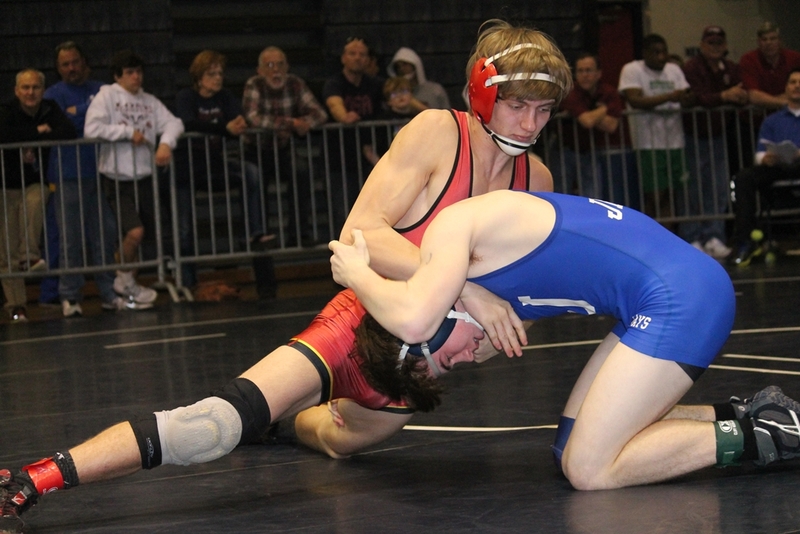 match against Shaw's Kody Woodson. In his third try, though, Martin did get a Ken Cole title. Quarterman did a fine job all season despite not winning a tournament title due to the likes of LeBlanc, Martin and Holy Cross' Brice Duhe. The Texas transfer (who most likely followed his family to New Orleans rather than the opposite just to compete with the Crusaders) came through strong in the end by making the Division I finals. Brice Duhe won just about everything he entered, including the Louisiana Classic against Eccles, but in the last two of their three matches, including the Division I finals, Eccles came out on top. Woodson finally won the title he came so close to in 2012 and in which he was denied a second opportunity in 2013 by Duhe. It does not get any closer of a contest than it was between the junior Crusader and the sophomore Blue Jay. 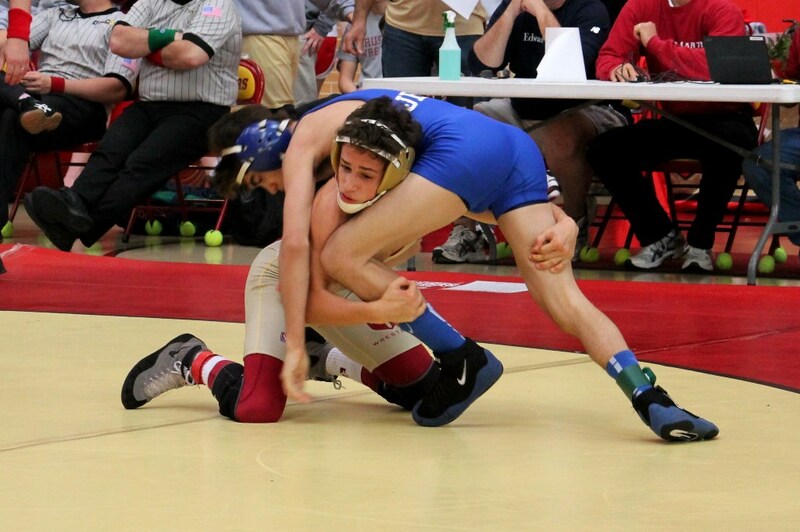 Patron, Jr. dominated the first two matches at the Trey Culotta, whereas Riles solved the Blue Jay's attacks at the Deep South Bayou Duals and in the Jesuit-Brother Martin dual meet. And then there was the match in the finals that only ended after the two fought each other for 7 1/2 minutes. Riles won that and gets the nod. Eisenhardt, in a very tough weight class, notched third with his win over Covington's Brendan Allen in the state consolation finals. 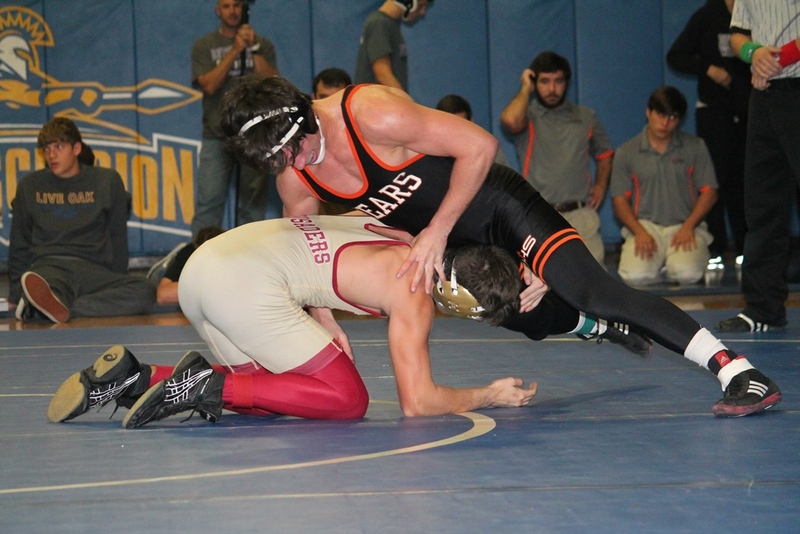 The only major tournament in which Jones participated before the state championships was the Louisiana Classic, in which he lost his only match to a Louisiana wrestler, 3-0 versus Sulphur's Matthew Perez. At the state tournament he was unstoppable, pinning Brother Martin's Joshua Tapia as well as Perez, and then surprising Relayson with a quick takedown shot in the Sudden Victory period of the Division I state finals. Relayson gets the nod over Perez due to a 4-0 match record against him. Perez is a solid third, though, as his only losses were to Relayson and Jones. At 42-0 Gilliam was the only undefeated wrestler at the state championships and had wins at the Louisiana Classic and the Ken Cole before the Division I state championships. The Byrd senior was unbeatable in Louisiana. Marbley was also undefeated until he met Gilliam. The Division III champion Williams get the nod here as his only loss all season was to Byrd's Gilliam, 1-0. He also defeated Dugas, who split two matches with Kennedy, but won the last one in the Division II finals.